March 6, 2015 – Cadets from the Academy STEM Outreach Club volunteered at the Classic Academy in Colorado Springs on February 19 as part of a five-part endeavor to interest students in science, technology, engineering and mathematics subjects beginning January 15. 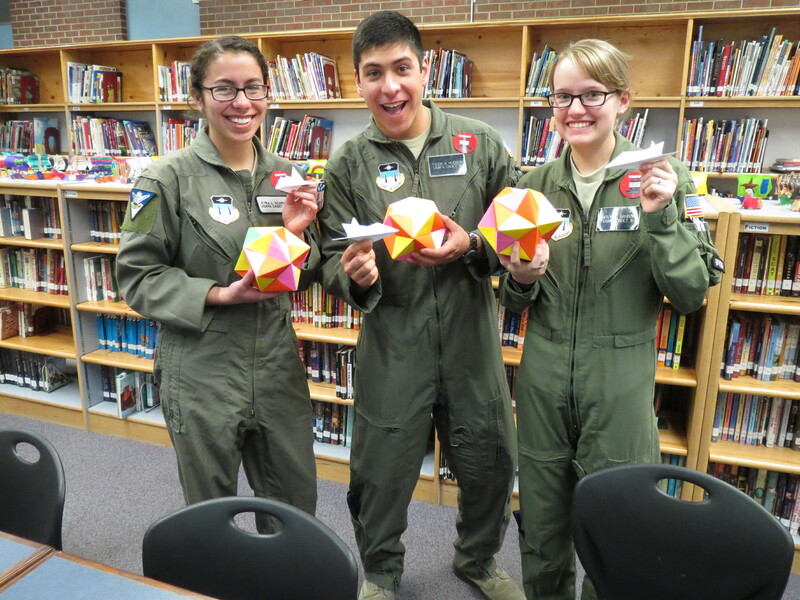 Cadets helped students fold complicated origami shapes, and then spoke with them on ways origami relates to engineering. Sanborn said students responded well to instruction from cadets.